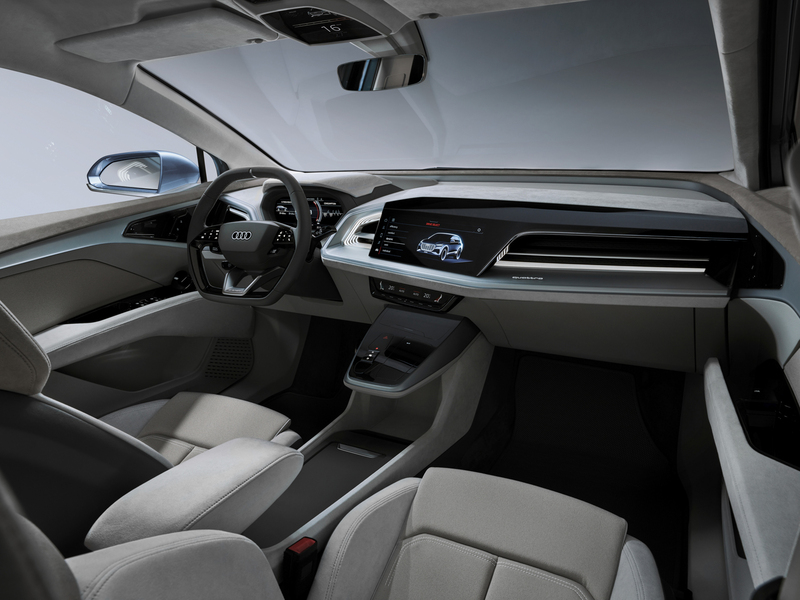 For car enthusiasts, there may not be any other car segment as dreary as the compact premium crossover segment. 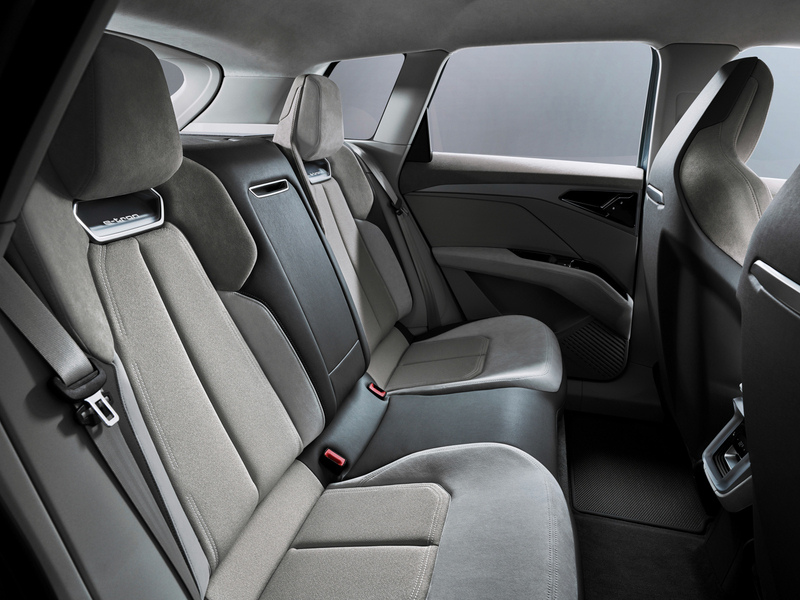 Cars like the BMW X1 and Mercedes-Benz GLA-Class are fine family vehicles but they’re painfully boring. 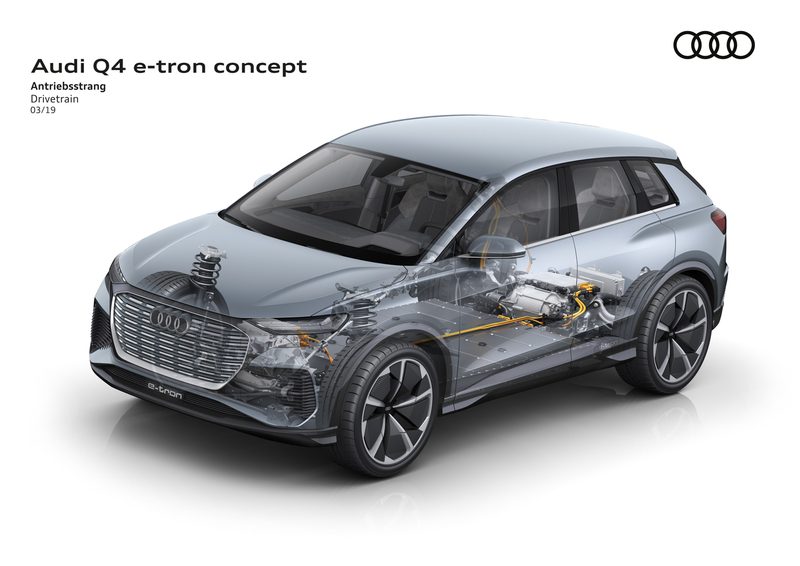 So the idea of one powered only by electricity is even more boring. 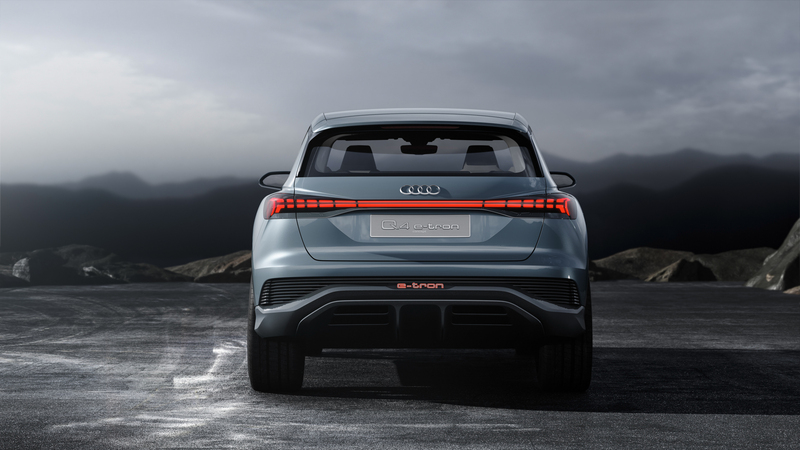 However, BMW’s Bavarian rival has other things to say about that, with the Audi Q4 e-tron Concept. 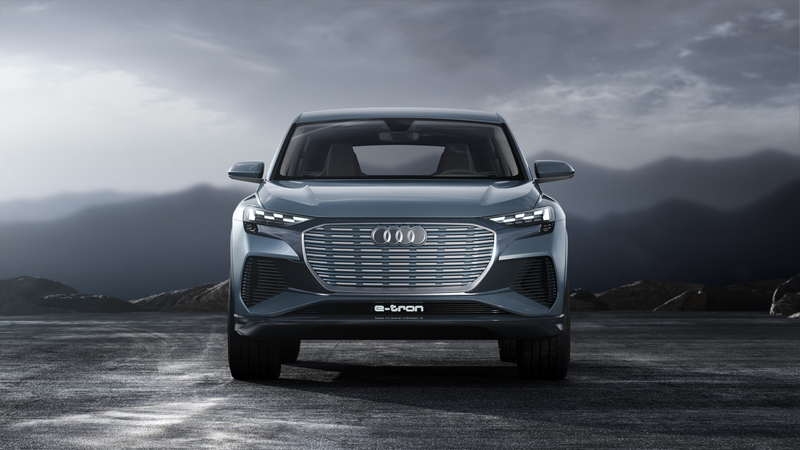 Debuting at the 2019 Geneva Motor Show, the Audi Q4 e-tron Concept shows off the brand’s plans for a small, premium, electric crossover. 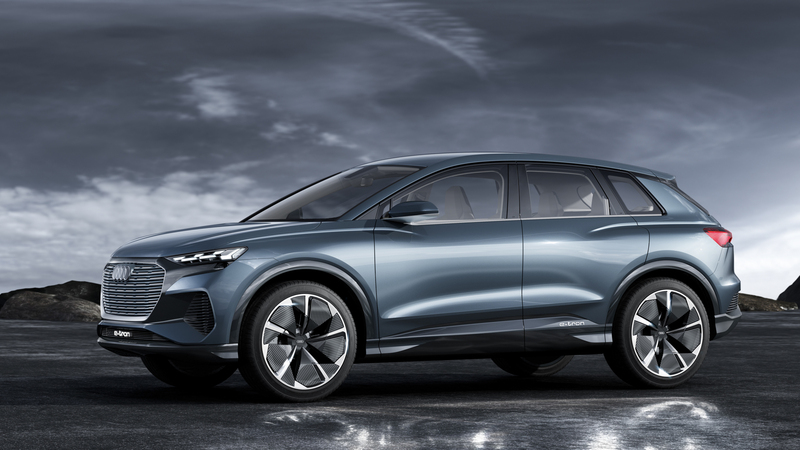 It’s a car that could compete with the BMW iX3, though we think it’s going to be a bit smaller. Personally, I also think it’s a bit better looking. Okay, so I’m not in love with the face. 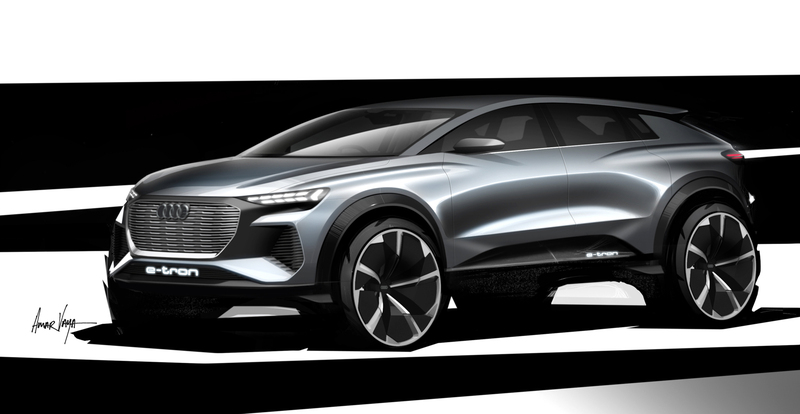 It’s grille is a bit odd looking but the rest of it looks great. 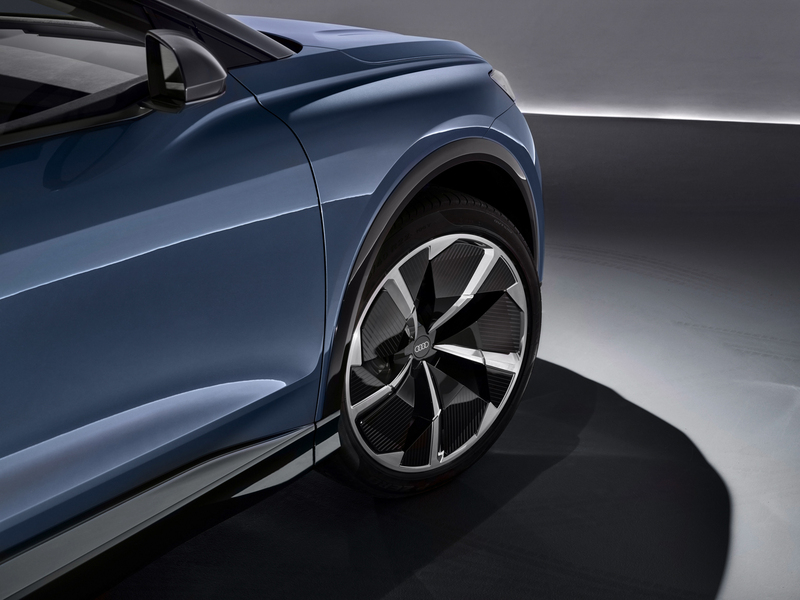 The flared wheel arches, muscular haunches, tapered roofline and large wheels all combine to make it look very sporty, very athletic. 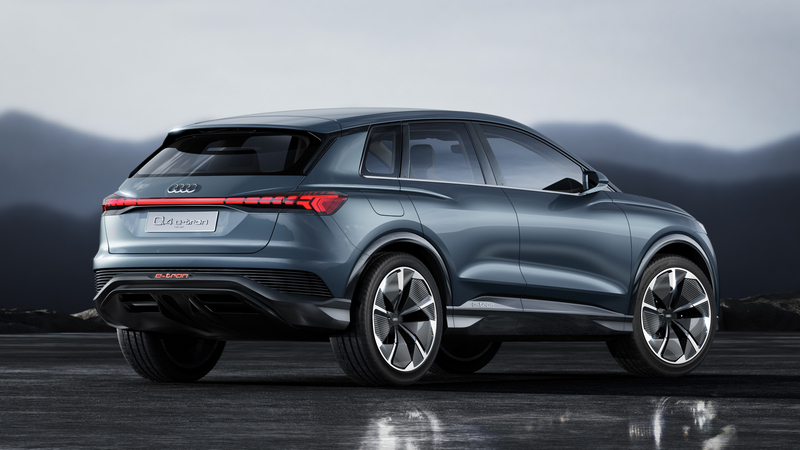 It looks its best from the rear three-quarters angle, where it looks like a proper sporty SUV. 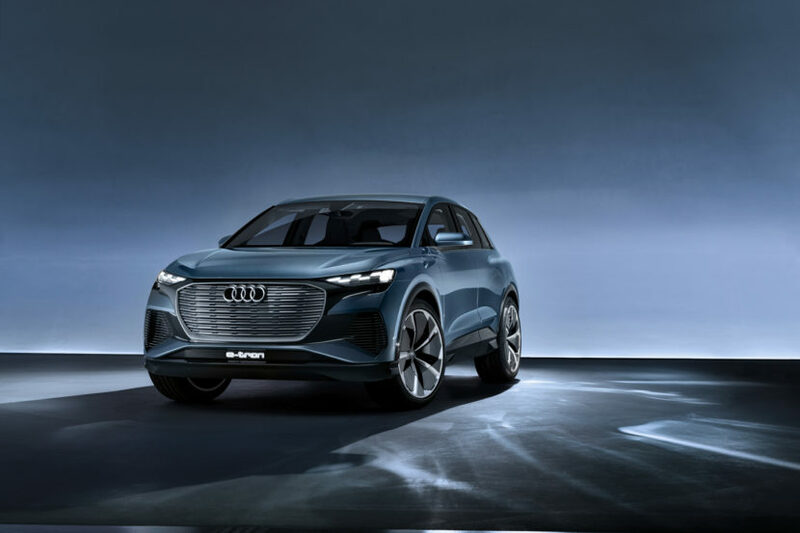 The Audi Q4 e-tron will be built on the VW Group’s MEB platform, which is a modular electric architecture that also underpins the Volkswagen I.D. 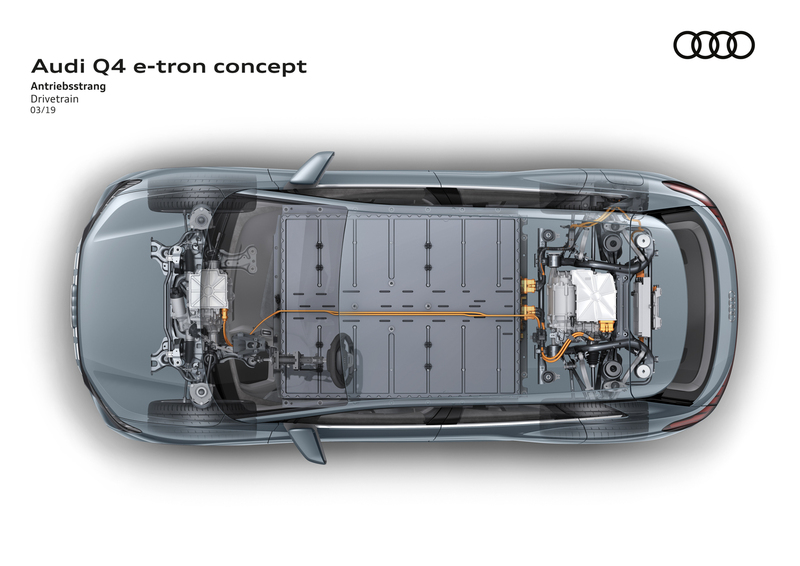 electric hatchback. 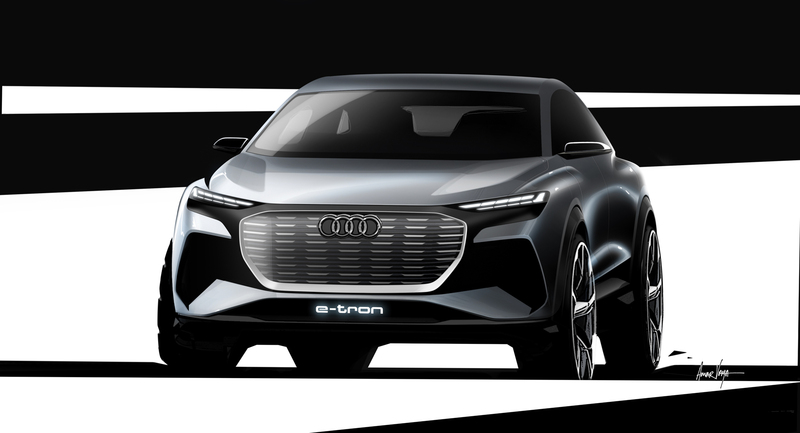 It’s a high-tech new architecture that, in Q4 e-tron-guise, will house a 82 kWh battery pack that should provide the electric Audi with about 249 miles of total range. 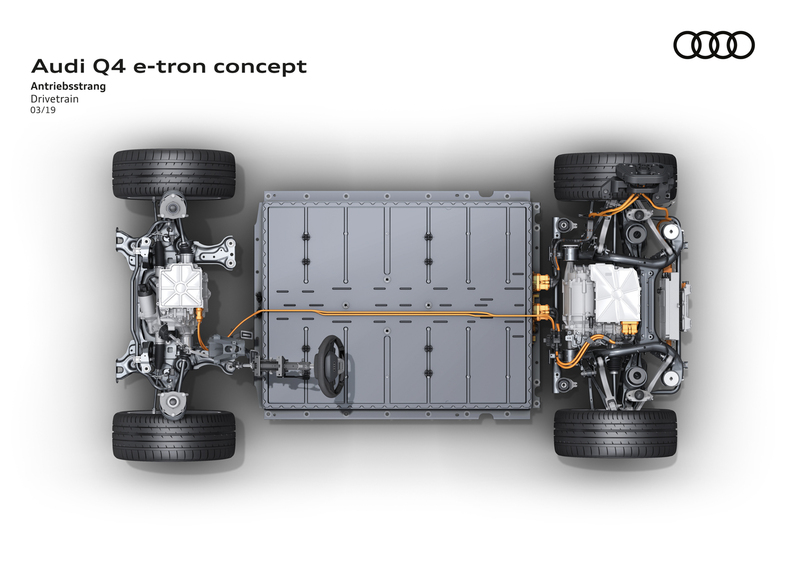 Sending power to the wheels will be two electric motors, one at each axle. 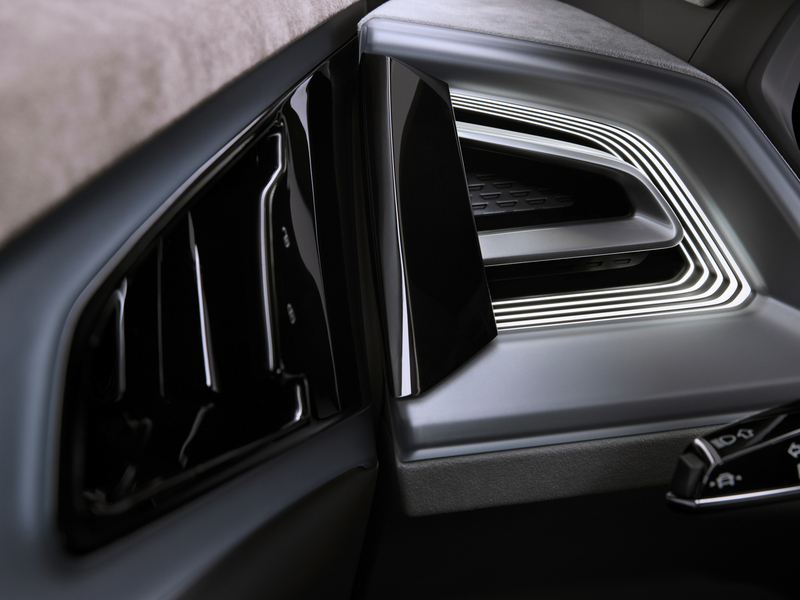 The rear axle motor will make 201 hp and 228 lb-ft of torque, while the front axle gets 100 hp and 110 lb-ft. 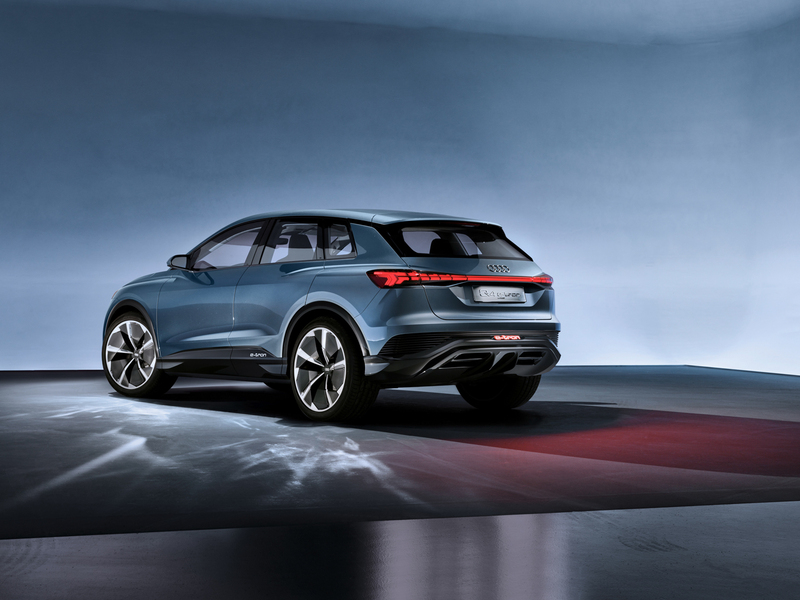 Combined, they make 301 hp and 339 lb-ft of torque. 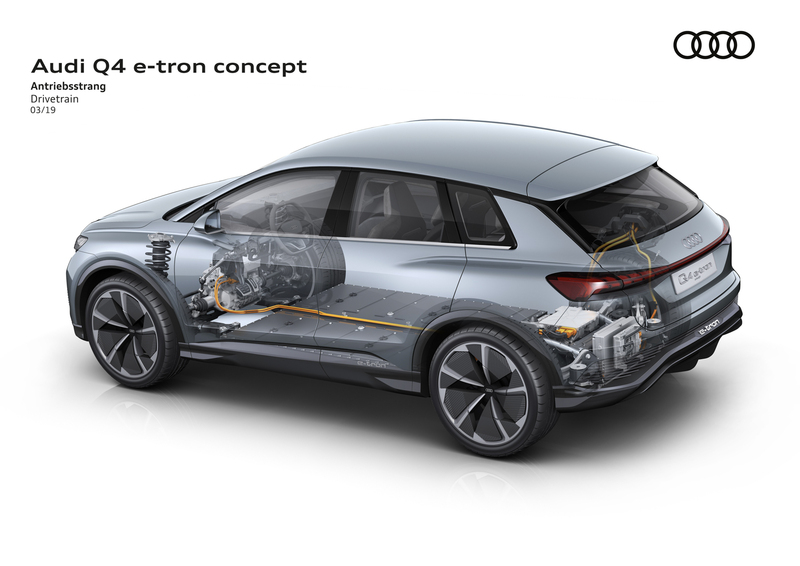 According to Audi, the Q4 e-tron will get from 0-60 mph in 6.3 seconds. That’s not rocket-ship fast. 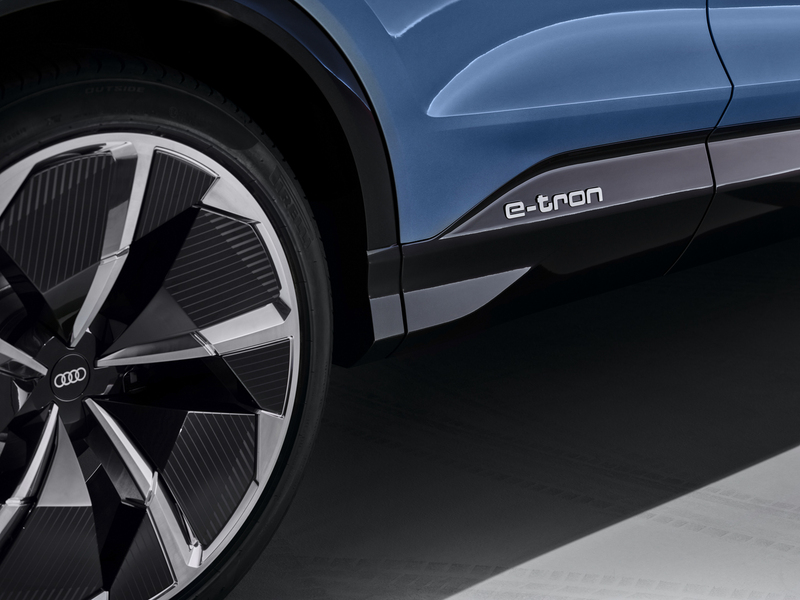 Thanks to its multi-link rear suspension, McPherson front axle and adaptive dampers, it’s designed to be fun to drive as well. 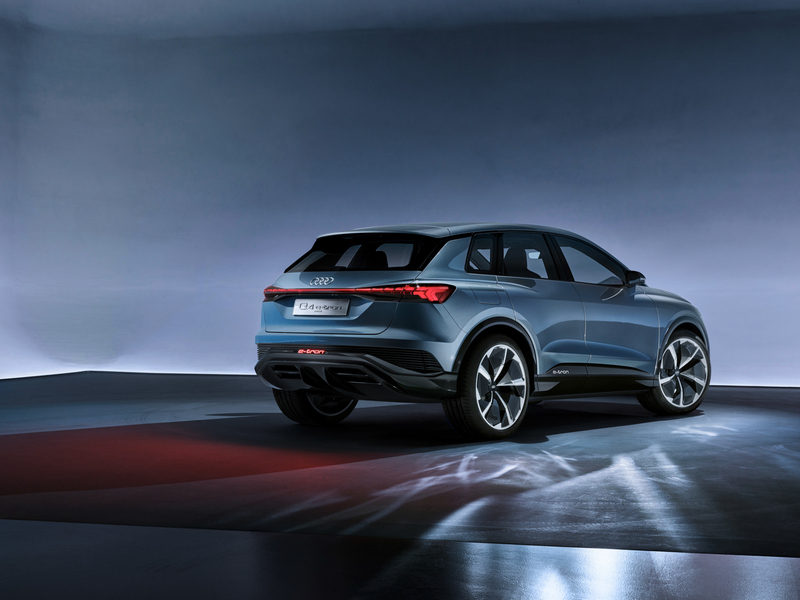 Audi seems to feel as if this new Q4 e-tron will be a sporty and exciting SUV to drive. We hope that’s true. On the inside, the Audi Q4 e-tron looks like a mashup between the Audi Q3 and e-tron SUV. 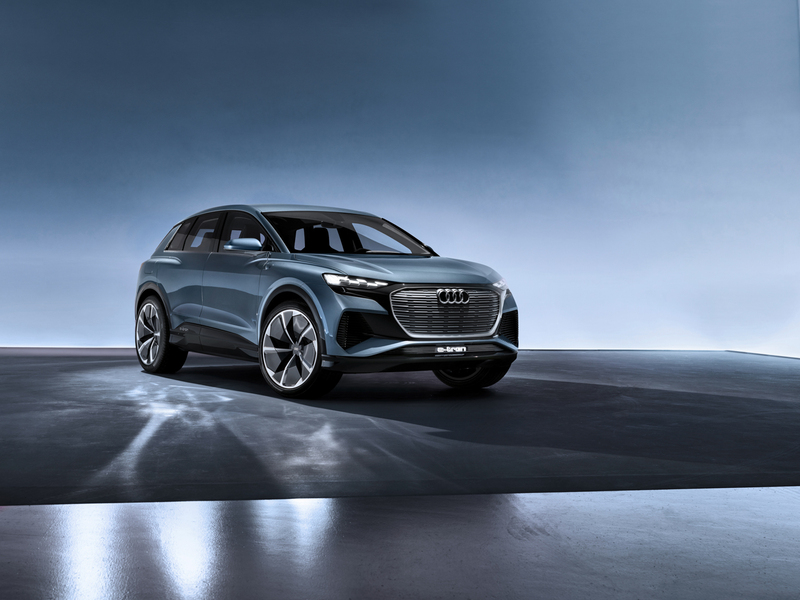 So it has the same basic layout of the Q3, just with some of the e-tron’s fancy tech and Virtual Cockpit. 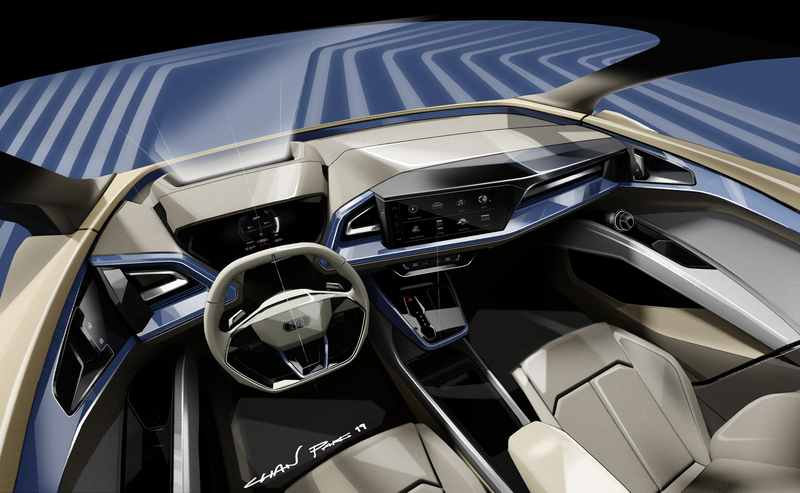 It’s not the most lavish of interiors but it’s smart looking, high-tech and simple. 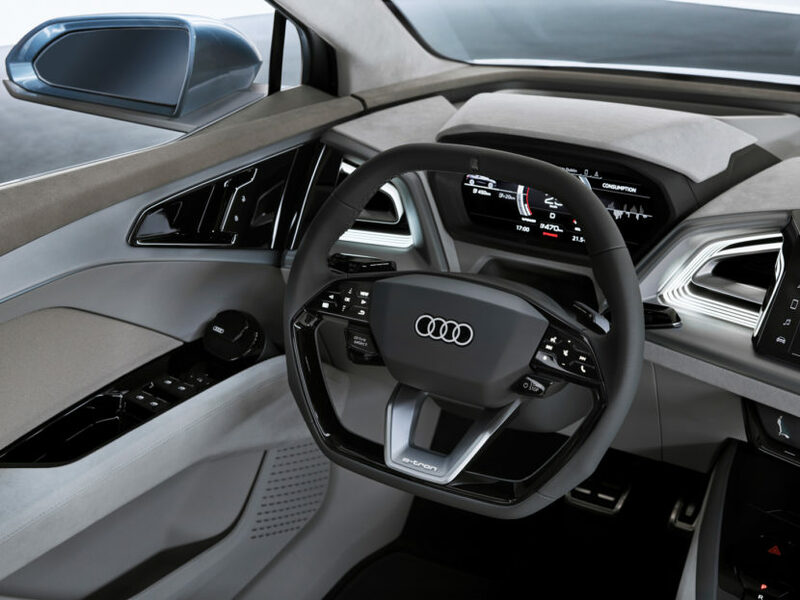 Build quality will likely be superb, as with all Audis. 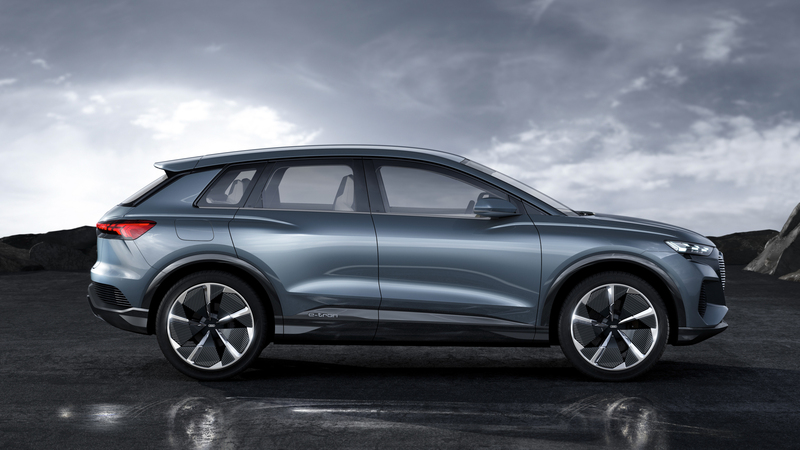 This is a surprisingly good looking electric crossover and one that could become a big seller. 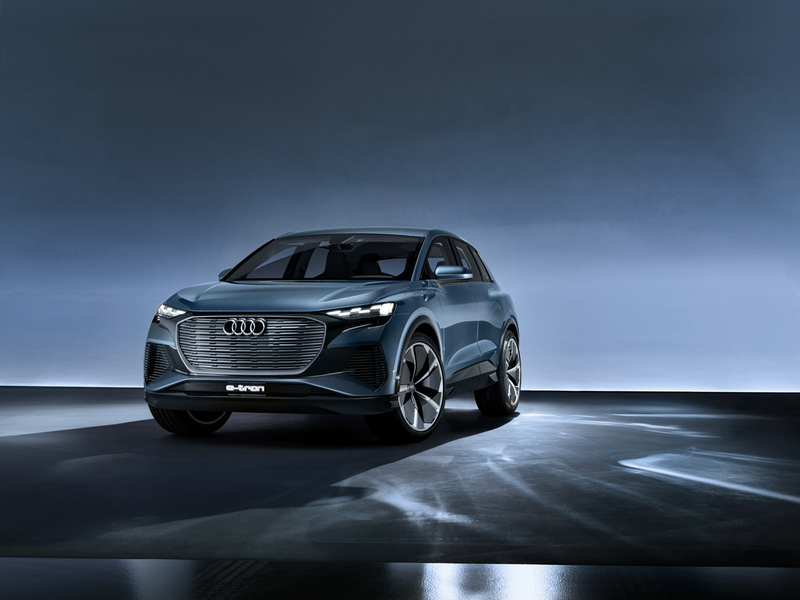 It competes in a segment that’s extremely popular among customers, it boasts an all-electric range that’s far enough for 90-percent of drivers and it sports some sharp and interesting looks. 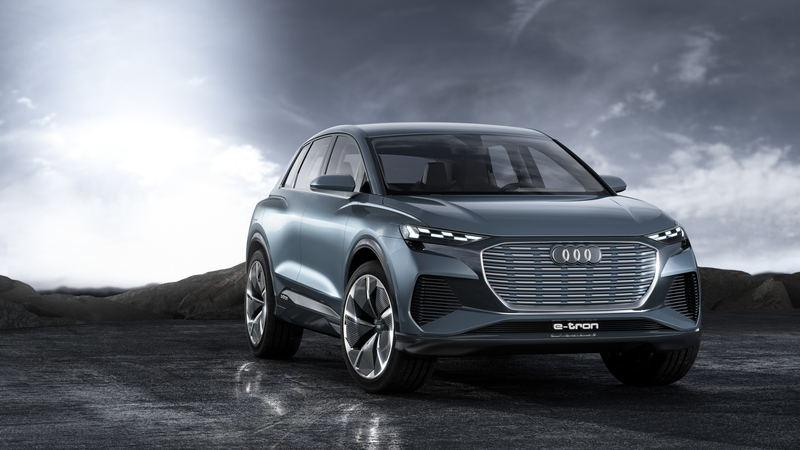 So this could be the car that Audi uses to pull traditional customers over to the electric side.